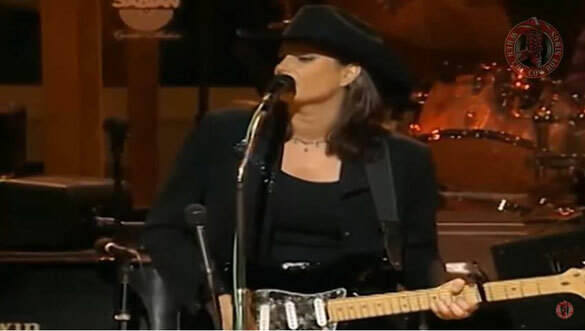 Terri Clark sings You're Easy On The Eyes , on Grand Ole Opry. "You're Easy on the Eyes" is a song co-written and recorded by Canadian country music artist Terri Clark. It was released in August 1998 as the second single from her CD, How I Feel, it spent three weeks at the top of the Billboard Hot Country Singles & Tracks (now Hot Country Songs) chart, giving Clark her first Number One single in the United States.It was written by Clark, Tom Shapiro and Chris Waters.